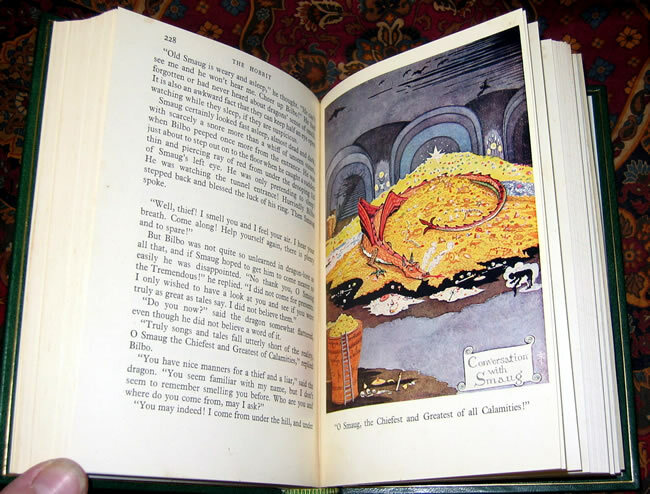 This is the 2nd printing of 1937, featuring the color illustrations by the author. 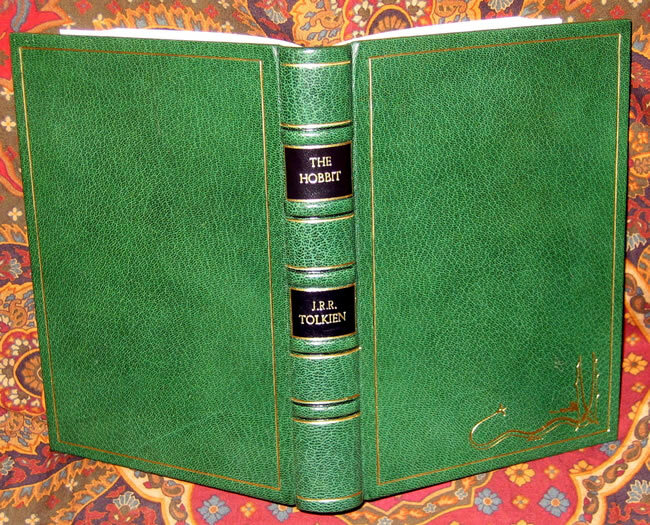 A wonderful copy, newly rebound in dark green morocco leather, gilt stamped with Tolkien's Dragon to the front boards, surrounded by a single gilt rule to the front and back edges. Also features Black Leather inserts, with the author and title in gilt ruled compartments, seperated by raised bands on the spine. Housed in a custom cloth slipcase, to show and protect. 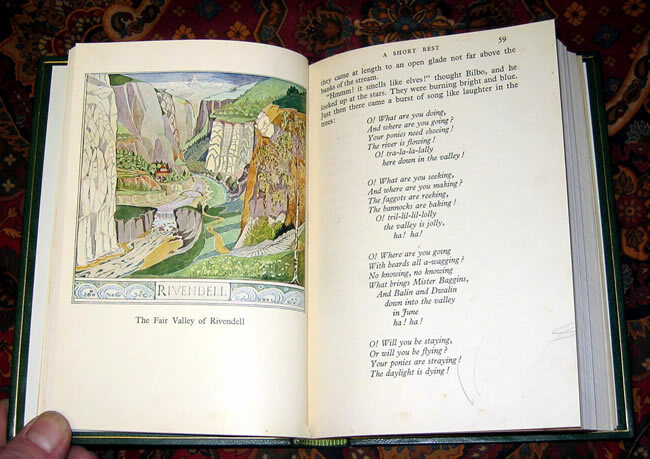 This is the 2nd (Second) impression of the first edition that was published 21st of September 1937. It has the 4 color and 9 mono plates all in excellent condition. 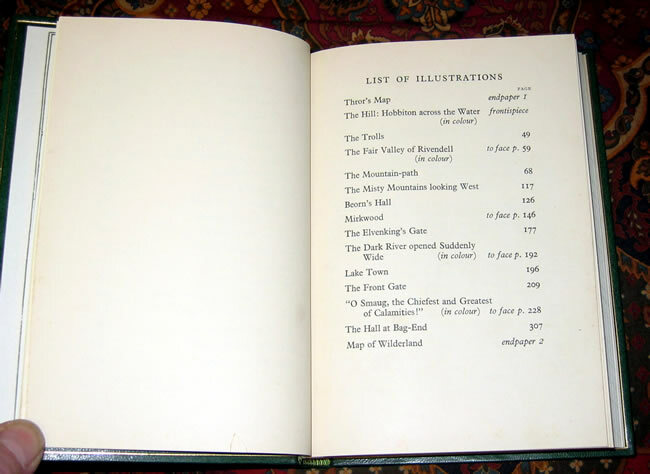 The second impression is important for the addition of the 4 color illustrations by the author. 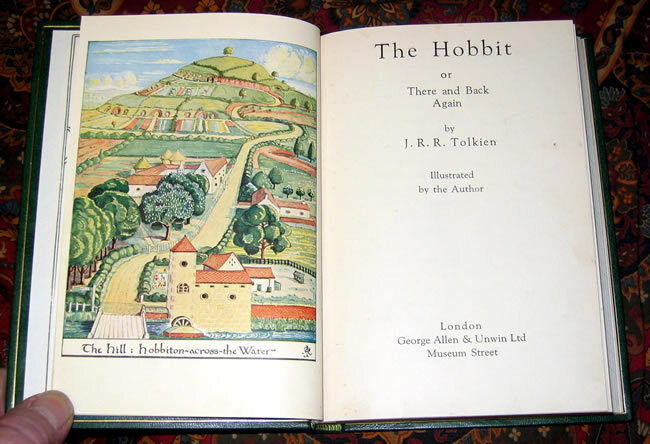 This is the 1st and only early UK edition published with four of Tolkien's color illustrations. 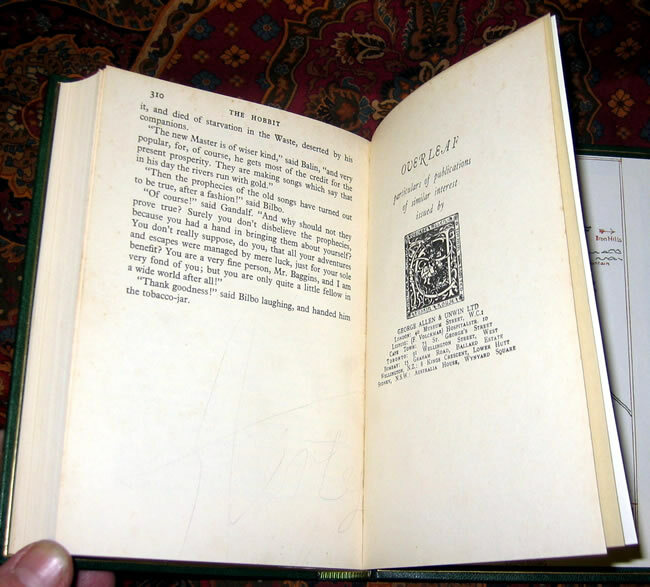 One of only 1877 copies of the original 2300 that survived the bombing of London in November 1940. 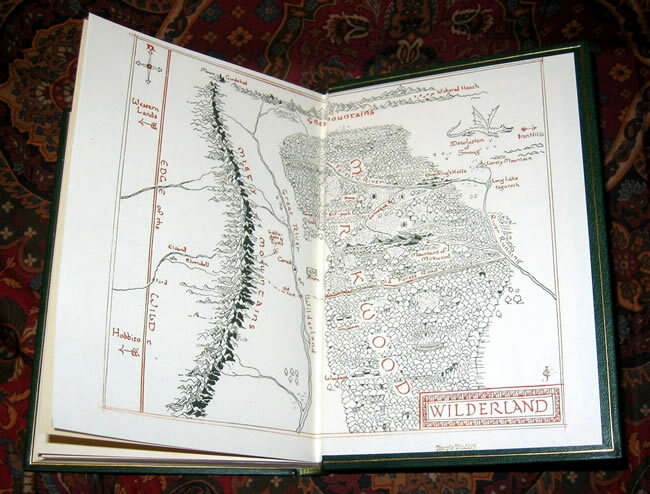 The original decorative map endpapers have been removed and new printouts used as endpapers. 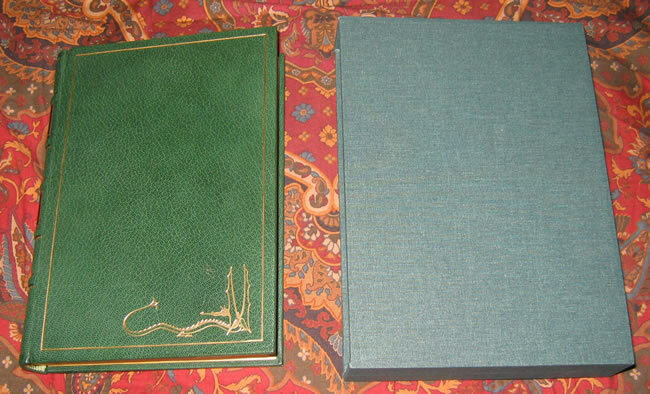 This copy has been elegantly rebound in full Dark Green Morocco leather, by Temple Bindery of Oxford. 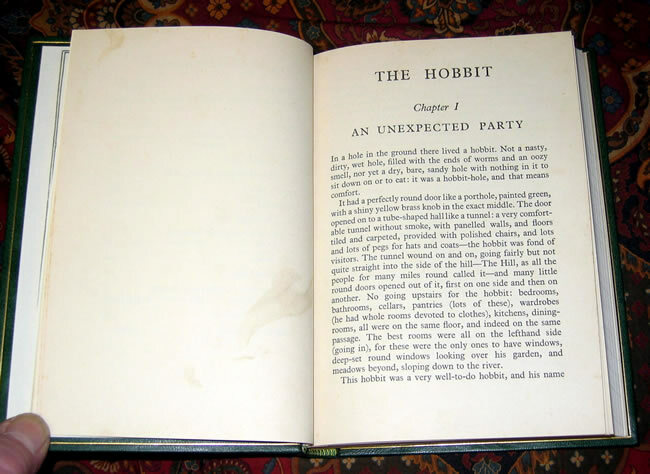 Pages are clean and bright, a few insignificant smudges scattered throughout the book. 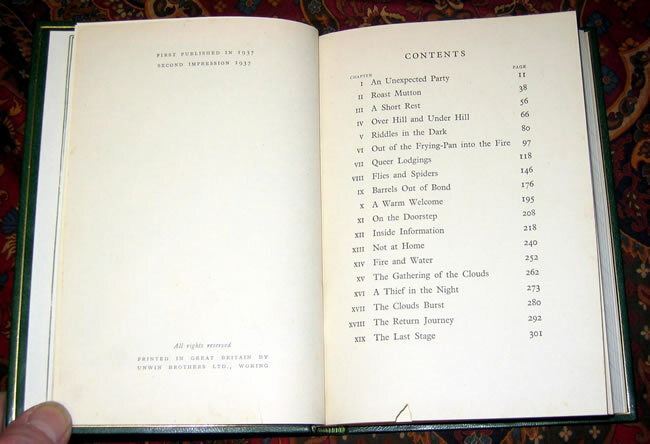 The 'Contents' page has a small triangular loss of about 1/4" wide and tall, at the bottom of the page, but does not infringe on any text. 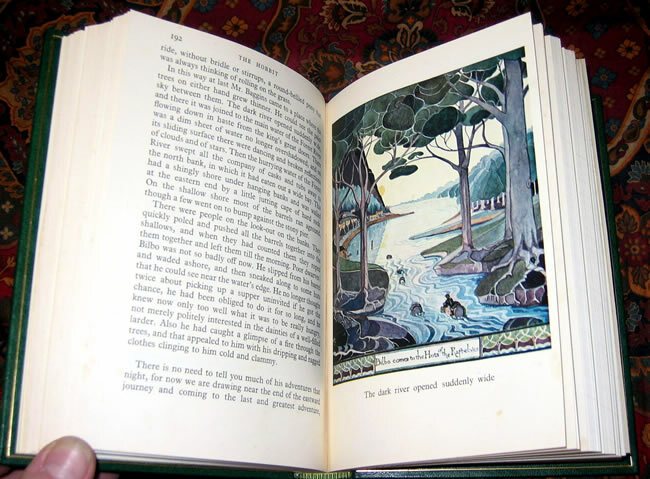 All edges have been trimmed at the time of binding, so the edges are crisp and clean. 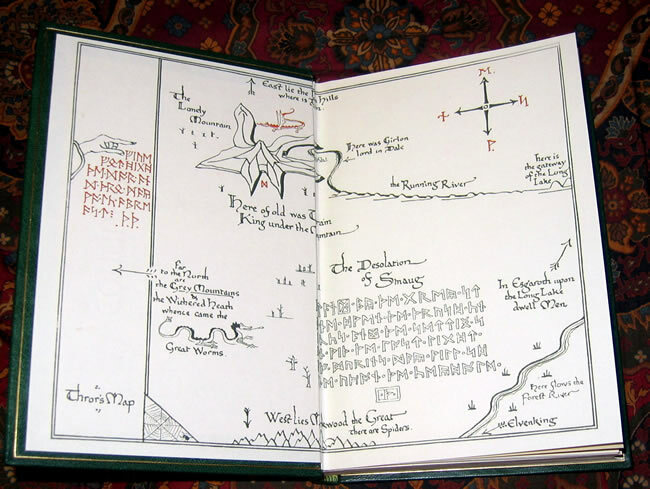 A beautiful copy, in a finely crafted binding.